Takrut Sarapat Gan Gao Chan (nine layers Takrut to protect from all sorts of Danger) Dork Lek (small size). The Takrut is empowered to protecct against all sharp weapons and projectiles – Knife and Gun Stopper. Kong Grapan Invincibility with Klaew Klaad Evasion Magic combine to afford great safety and Invulnerability to Protect you wherever you Go. Ajarn Oe is one of the Top Leading Masters of the Present Generation of Younger Sorcerors, spearheading a new Generation of Masters with vast armories of Magical Wicha acquired from their Lineages, and the added attraction of the New Generation of Fine Buddhist Arts students who have become Devotees of the New Generation Masters, have assisted in the New Wave having produced a whole new array of new and beautifully designed Magic charms and amulets using the Gifted Artistic abilities of Modern Buddhist Artisans who in turn have developed new technoligies in the design and creation of Buddhist Arts (amulets and statues). This in turn has resulted in amulets from Masters like Ajarn Oe becoming ever more un usual and attractive from the aesthetic presentation. 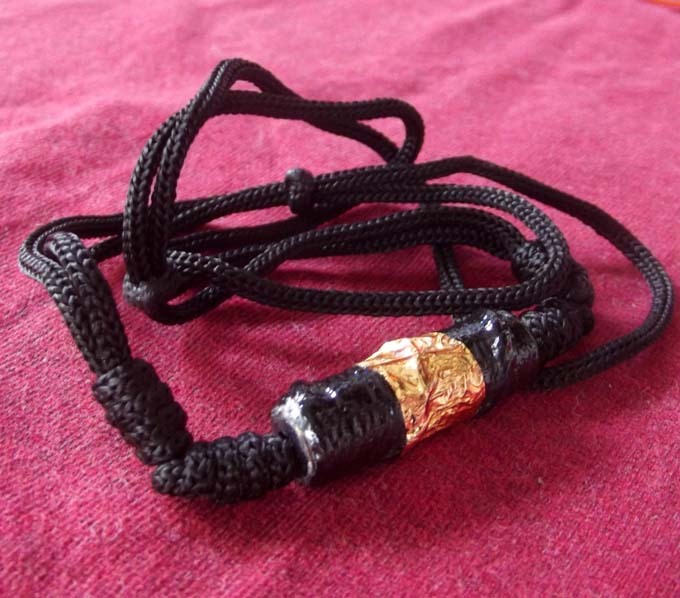 The Magical Wicha is as Powerful and Ancient as it ever was, and its Magic is as present as ever, only the wrappings have changed, to cater for the Modern Devotee, resulting in the Beautiful and Original amulets seen by Masters such as Pra Ajarn Oe. 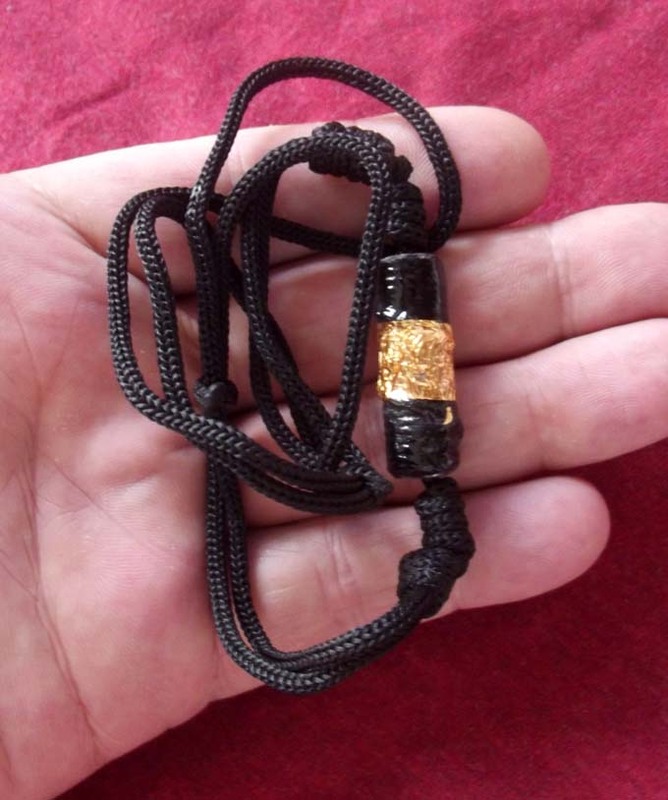 It is the Artisan devotees who normally assist in the design and smelting or casting of Buddhist Amulets, and this is the cause behind the design factors of an amulet. Ajarn Oe only makes small numbers of each amulet giving personal individual empowerments to each edition, resulting in a dizzyingly vast array of different amulets, all of which only existing ins very small numbers. We predict that because of the ever rising popularity of Ajarn Oes amulets and the growing number of success stories of people who used his amulets, combined with the fact that all of his amulets are rare limited editions, that the future will see Pra Ajarn Oes Inimitable amulets to become extreme ultra rarities and highly sought after by both faithful devotees and collectors alike. 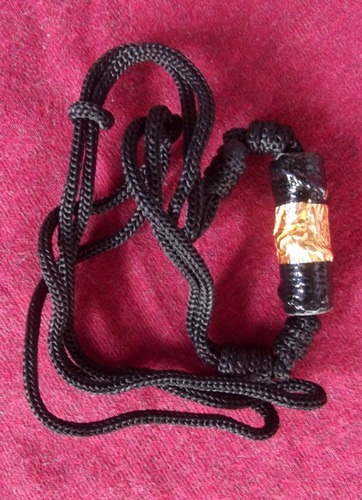 We predict that it wont always be easy to obtain amulets from Pra Ajarn Oe Putto Raksa, and that any amulets from this Master which you own now, will become extreme rarities and increase many many times in value.